SatrindTech machines are suitable either for a volume reduction or for controlled size shredding processes, and are used in many manufacturing industries (plastic, paper, wood, automotive, chemical, packaging etc.) as well as in the recycling industry (public and private-owned recycling plants for MSW, postconsumer waste, hazardous, confidential documents, etc.). Our shredders know-how, built over 40 years of activity, gives you the opportunity of finding the right shredder for your purposes, either in standard or in customized versions, supplied as stand-alone-machine or as part of treatment plants. Being customer-oriented means being able to offer a 360° service: not only we sell machines, but also sales expertise in shredding solutions, plant engineering, commissioning and installation services, after-sales support (on site and through our remote help-desk), quick availability of stock of the more sensitive spare parts. 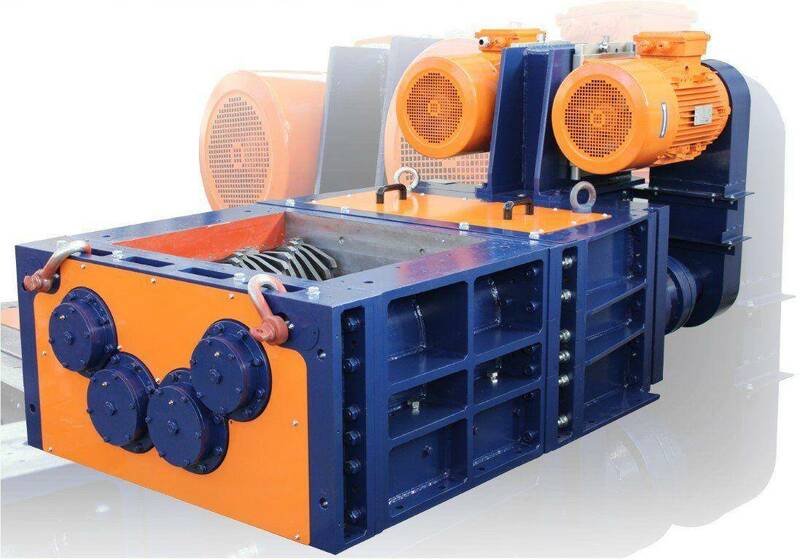 Our current range of products (more than 80 models) covers electrical and hydraulic shredders of 1, 2, 3 and 4 shafts, equipped with installed power from 4 to 400hp. 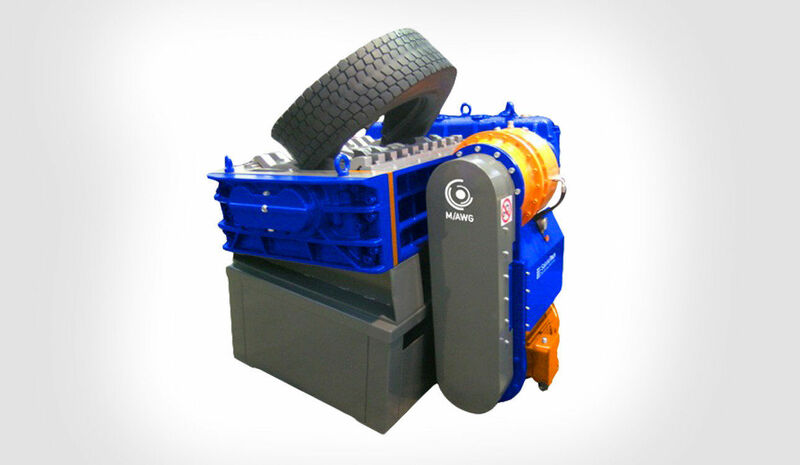 SatrindTech designs, builds and launches to the international market the new modular electric power driven, 4-shaft modular shredder in 40 HP and 60 HP versions: a system that facilitates the blade-holding shafts’ maintenance and thus reduces re-sharpening costs while allowing an easy configurability of the machine parameters in just a few simple steps. SatrindTech developed and patented the M/AWG system, a complete and innovative plug-in automatic drive system with inverter for 50 HP electrical two-shaft shredders. SatrindTech promotes two shredders for destruction of sensitive data stored on hard disks in compliance with DIN 66399-1 safety standards, H5 security level: the S3/3RI shredder equipped with 4 HP E-motor with a capacity to process approx. 20 pcs/h and the new F410/360RI shredder equipped with 10 HP E-motor that ensures fourfold enhanced capacity. Both shredders are equipped with a recirculating system controlled via PLC, whereby the material is processed until it is shredded to the demanded size. Both shredders are supplied with an automated system for the batching load of the hard disks. Available in three versions (515-30, 1015-50 e 1025-100), DUPLO is a system that combines the action of the shredder with that of the granulator and is an economical solution for granulation processes of plastic materials, bulky or particularly tough. SatrindTech renews its image and presents new corporate logo. After a detailed graphical analysis we chose the model that we believe best represents us. Offices, manufacturing and processing departments are now active in Via Monfalcone, 122 Arluno, on an area of 2.000 square meters. The new headquarters of SatrindTech allows a better logistics organization and offers a more appropriate location required by the needs of a dynamic structure able to meet the different needs of our customers. Market introduction of the model S3/3 designed for on board applications. Satrind broadens its product range introducing four shafts machines with selection screens. Satrind engineered new product models from “R Series”: 2R100SD, 2R75 and 3R125 designed to answer to different market requirements. Satrind designed a new product line: “R Series” including large two shaft and three shaft shredders. Satrind successfully launched a new product line: “T Series” waste crushers. These machines have been designed to handle large volumes of municipal waste, bulky waste and mattresses. Satrind designed and supplied iits first plant with nitrogen blanketing protection system to process sludge hazardous toxic industrial waste. This plant has been installed at one of many facilities of a major multi-national company specialized in the treatment of toxic hazardous waste. New three shaft shredder models with installed power of 280Hp to handle large volume of RDF, hazardous waste and hospital waste. The first three shaft shredder with selection screen to handle all the applications that require a controlled shred-size of output material. The Satrind‘s head office moved to Arluno (MI) on an area of 3.000 mqs. Satrind designed new product models to be able to handle many different types of waste: large industrial shredders with installed power from 100Hp to 250Hp. Satrind further extended its activity from the simple manufacturing of shredders to the supply of complete plants, in order to offer turn-key solutions for specific customers’ requirements. Satrind was established following more than ten years of experience acquired by planning, engineering and manufacturing industrial shredding machines in the most different fields designed to recycle and dispose of industrial and urban waste. At the beginning the range of Satrind‘s products included only small industrial shredders with installed power from 10Hp to 50Hp.